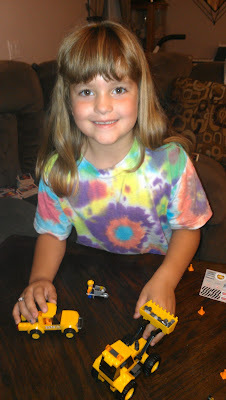 My daughter is obsessed with building blocks and builds and constructs things on a daily basis. She loves building blocks so much that they are the one and only thing she's asking for this holiday season. I love Mega Bloks because they are durable and fun but they also require creativity and imagination! 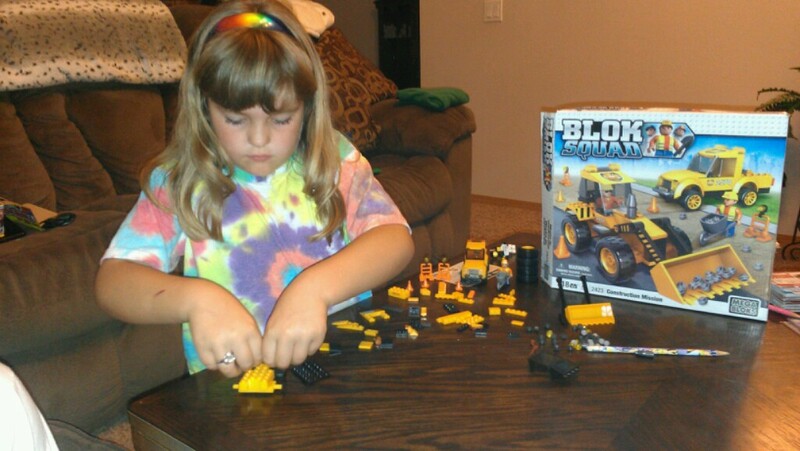 You should have seen the look on my daughter's face when I gave her the Mega Bloks Construction Unit Mission! Blok Squad building block playsets introduce kids to their favorite everyday heroes: fire patrol, police officers and construction workers! Let's face it, how many kids want to grow up to be a fireman, police officer or construction worker or have a parent or family member that already is. These are something that children will relate to and enjoy playing with. 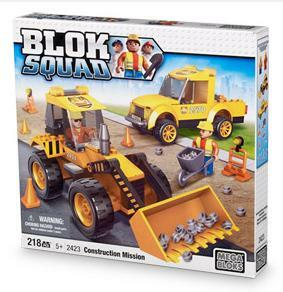 All missions are possible with the two construction vehicles of the Blok Squad Construction Unit Mission! Build the Construction 4x4 Truck and travel easily across off-road or paved streets with its large 4x4 wheels. Drive down to a construction zone with your Blok Squad Construction Worker and set up the 4x4 with its hazard lights blinking to warn drivers to slow down! Construct the multi-use Front Loader! With your Blok Squad Construction Worker at the wheel, use the Front Loader’s huge shovel to lift massive rocks and clear out any area with ease! Team up both Construction vehicles to square-off a construction zone and start digging your quarry! Ideal for children ages 5 and up! Collect them all and combine Blok Squad vehicles to build heavy-duty machines to complete any Construction mission! A special thanks to Team Mom for this wonderful opportunity!